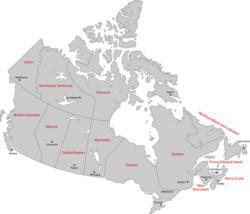 T3Leads has expanded its payday loan lead generation network to its fifth Canadian province, Nova Scotia. “Growth in Canada has been slow, yet steady. We are thrilled to connect with a lender who will expand our reach in Canada,” said Diana Kirakosyan, Senior Product Manager. Affiliate network leader, T3Leads, has expanded its payday loan lead generation network to Nova Scotia, Canada. Nova Scotia joins Alberta, Ontario, British Columbia and Manitoba as Canadian provinces in which T3 generates leads for lenders. The provinces work in a similar fashion to the states. Each has its own unique rules and licensing regulations. T3 Leads generates payday loan leads in the United States, the U.K. and Canada. The T3Leads affiliate network specializes in the financial services industry. In addition to payday loans, they generate leads for insurance and auto loans.